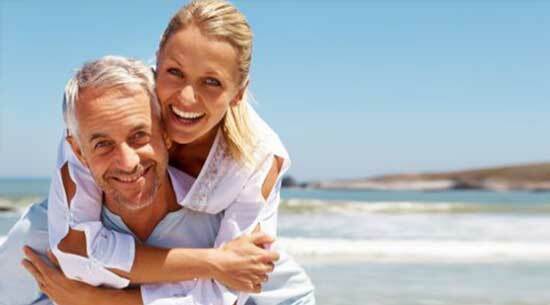 Phuket tourism is an important factor when choosing to buy property in Phuket. To make sure Phuket has everything you want from an investment, new home or somewhere to visit and stay in the holidays. There is a general happy spirit that permeates every part of Phuket, Thailand. It is a premier destination city because it maintains a vibrant and open atmosphere with both the eastern and western worlds. The Thai culture has assimilated the attractive elements of modern living with an adherence to its own ancient religious and community-preserving culture. This wonderful integration has made Phuket one of the most alluring and rewarding cities in Southeast Asia for tourists to spend a quick getaway, or an extended vacation. Unlike many great Asian cities, Phuket maintains an ambience of peaceful coexistence between residents and the immense numbers of tourists who travel there. The pace of the city is laid back and inviting to travellers hailing from all other countries. Phuket residents, merchants and tourism service providers are patient, helpful and above all, grateful for tourist patronage. There are two large categories of attraction that make Phuket, Mueang Province’s cultural center and the main destination of world travellers. These are the vast shopping opportunities and the city’s connection with the natural world. Phuket has become a hub for international trade and niche marketing. Merchants from other parts of Asia, Europe, the western United States and Australia have made this city the home base of their enterprises. As a result, the shopping district in Phuket rivals the districts in other destinations like Paris, Berlin, Shanghai and Rio in variety and affordability. Much of the resident population is employed in the shopping districts, and they always add a friendly touch to a tourist’s Thai shopping experience. Though Phuket is growing rapidly and adopting the trends of other modern cities, the residents there demand that their heritage be preserved. That heritage includes an extreme reverence for nature and the spiritual wonders of the unique landscape surrounding the city. Tourists have ample opportunities to leave the metropolitan zones of Phuket behind in exchange for a communion with nature that is only available in a place like Thailand. The most popular and sought-after natural excursions in the area are guided elephant rides and cave exploration. Riding an elephant can be learned in a few hours with the help of a friendly native teacher. These amazing treks will give a visitor a “tall” view of the countryside and possibly an up-close glimpse at amazing and rare creatures, like tigers and primates. 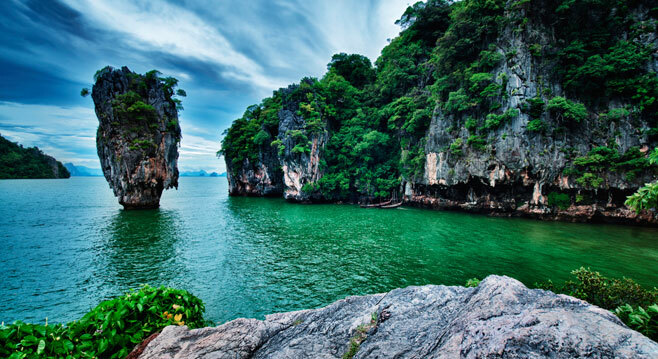 The cave system in Thailand is one of the largest in the world and is completely tropical. Spelunking, repelling, hiking, diving and gem collecting are just a few of the ways in which travellers can experience these wonders of the Asian natural world. In order to enjoy everything that Phuket and the surrounding areas have to offer, mobility and transportation is an important element to visitors and tourists. Phuket has a well-managed, government-run bussing system that covers virtually every district in the city. Small taxis and walking are also encouraged if a traveller’s stay only incorporates a small part of the city. General attractions are best discovered on foot. Some of the major landmarks like Kata Noi Beach, Bangla Night Street and the Big Buddha are also best viewed with a two-legged, or bicycle-based itinerary. Since water is a feature of almost every part of Thailand including Phuket, floating transportation is available around every corner. A great percentage of the population lives on the water so travellers will quickly discover this is often the best way to travel within the city. Services offered at places like the Royal Phuket Marina and Laem Hin Pier, as well as private boaters, provide ample routes to any part of the city. 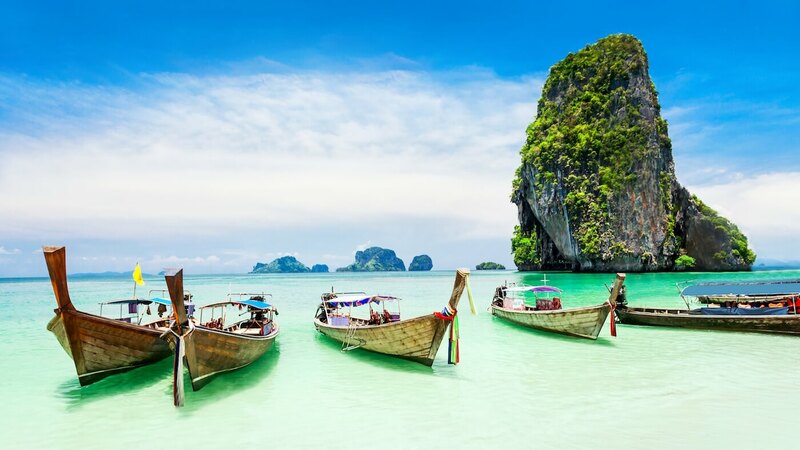 Phuket, Thailand is a city of dreams and an eye-opening place for tourists wanting to have fun in one of the most exotic locations in the world! ET HUS Phuket Real Estate is committed to delivering a high level of expertise, customer service, and attention to detail to the marketing and sales of luxury real estate, and rental properties in Phuket. eT Hus Real Estate © 2018 - Cortek Solutions Co. Ltd.